Where to Go When You're Flying "Sole-Oh"
What do you do when your office mates flake out on you to go on a trip? Or when you can afford to go and none of your friends can? Or when you're just moving on from a relationship gone wrong and need some time to clear your head? It's time to fly solo! In fact, I have had a lot of fun traveling solo in a lot of places all over the world. Because the reality is, traveling solo actually opens you up to meeting strangers. Strangers? Did you say strangers? You know, friends that you just haven't met before! "Traveling solo allows for a time of introspection, relaxation and self-discovery. It's like meditation, but with food, drinks and the opportunity to meet new people." 1 Is it a place where they respect women? 2 Is it safe to go around in terms of crime and harassment? 3 Would there be experiences and sights that I could enjoy even as a solo traveler? They say that if you get bored in New York, it’s your own damn fault. And I discovered this to be true when I worked here for a year. There's so many things to do and people to see- and vice versa (if you get what I mean). You would never feel alone in New York City! I mean how could you? Every little corner of this place will have something interesting for solo travelers. There's a Broadway show to watch, a restaurant to try out, a street performance to witness and a naked cowboy to gawk at. Why Go: The subway system makes it oh so convenient to go around. It's easy to get lost but you can always wander off and find your way again. There are also a gazillion of cafes and coffee shops where you can spend an entire afternoon people watching or reading a book. No one would ever bother you or make you feel like an outcast for being alone. That's quite possibly why a lot of celebrities enjoy getting lost in the crowd here. Accommodations will not be a problem either. It's easy enough to book a room at soho hotels even if you're not sharing the bed with anyone. No one will ever ask you: "Where is your husband?" This place is the perfect little town to explore on your own. It has golden temples, cascading waterfalls, lively bars, quirky cafes, a sensational night market and lovely hotels. What else do you need? 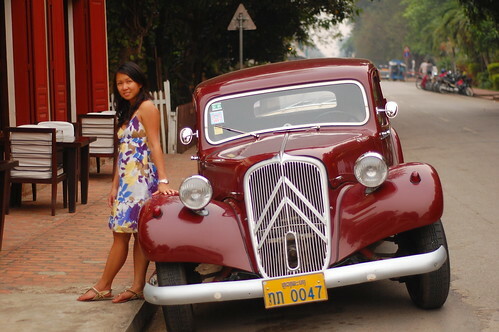 Check out the Southeast Asia Backpacker guide to Luang Prabang. I came here in 2011 with a friend and even though we traveled together, we also did a lot of exploring on our own. Why Go: The town size is very manageable to walk or bike around in. The streets in the main area are almost grid-like that it's close to impossible to get lost. But my favorite reason? It's the best place to reunite with people that you've already met or traveled with before in other parts of Southeast Asia. It sounds a bit absurd but a lot of travelers do end up here and through some serendipitous luck, at the same time! If you fancy meeting people, stay at the Lemon Laos (formerly Spicy Laos) Hostel where you can go on trips with other travelers to the Kuang Si waterfalls and other nearby sights. And when you've made them your friends, you can all hang out at the Utopia bar and continue drinking at the Bowling Alley. You won't regret it! 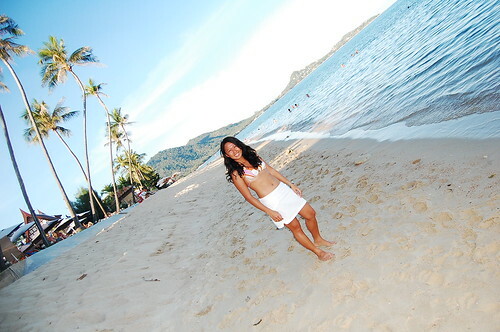 I traveled to Koh Samui solo in 2010 and it was one of the most fun trips I had. Okay so I cheated a bit, I traveled there solo but met up with an Aussie friend and went to a full moon party with him to next door Koh Pangan. But still, it was such a liberating experience! If you also want the more sublime, chill out Koh Samui scene, check out what Adi did at Kamalaya. Why Go: This slice of Southern Thailand is touristy so it's easy enough to find other travelers to hang out with. And if you fancy just being by yourself, there are little pockets in the island where you can do that too. There are a handful of cafes, yoga retreats and bed and breakfasts. This city has been my most recent experience of solo travel this year. I thoroughly enjoyed taking my sweet time at my Wimdu apartment, getting lost in the commercial district of Myeong-dong and shopping at the university area of Hongdae. Why Go: Similar to New York, Seoul has a very efficient subway system that would only take you a few rides to get used to. People are also fairly helpful to give directions as long as they are confident in speaking English. (Tip: Ask the teenagers) I found a few people to party with here, mainly friends of friends who were introduced online. It was also a cool experience to meet a group of Filipinos who were traveling through Seoul at the Gyeongbokgung Palace. Hence, the most well-lit, best-exposed, perfectly composed photo of me on that trip. Warning: The quintessential Jjimjilbang experience is something you would definitely prefer to do alone. 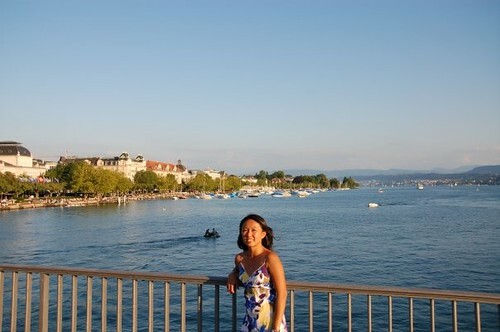 I lived in Zurich in 2009 and I can imagine a lot of solo travelers would have their hands full going around this lively little city. There's always something going on everywhere! I easily found people to hang out with through couchsurfing. We would often watch movies at the kino, swim in the river, attend bar meetups or look through the brockenhauses (second hand shops) for nice finds like clothes, books and furniture. Why Go: If you want to spend some alone time, there are several book shops, bars, restaurants and museums to check out. I would usually take the tram or get a free bike rental at the city center (just leave your passport- good for 24 hours). If you want to meet people, find a hobby group for sailing, hiking, swimming, etc. I'm not flying solo on this post because I have my Sole Sisters with me. Lauren placed some unusual places like Loch Ness, Scotland and Mount Huangshuan, China on her Top 5 Destinations for Solo Travelers. 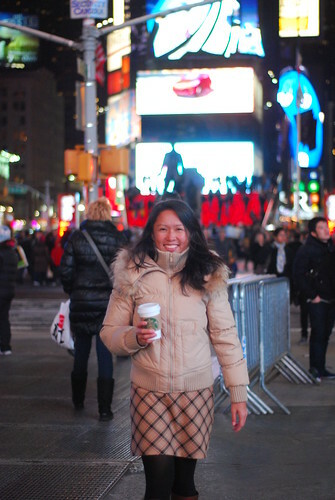 Adi listed Bali, Indonesia Oahu, Hawaii and our very own Palawan, Philippines on her Top places for solo travel. Stephanie also included Palawan as well as La Fortuna, Costa Rica Bocas Del Toro, Panama and Pai, Thailand on her Top 5 places for traveling alone. Yes, alone. You can say I have some very adventurous sisters who are not afraid to go out exploring on their own! What about you? What are your favorite solo travel destinations? Please share in the comments below!